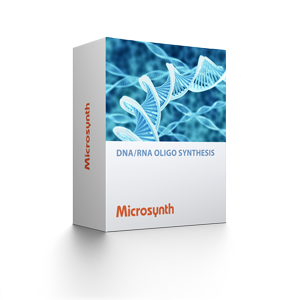 Microsynth standard oligos are usually delivered in 2.0 ml tubes carrying a label with oligo name, nucleotide sequence, order number, purification and production date. Should you wish a customized label in order to identify, sort and manage your tubes more conveniently, please let us know. Microsynth is quite flexible in designing labels that will meet your need and are available for a small surcharge. Contact your sales manager with your ideas of an optimized tube label and he will consult you regarding the various possibilities and pricing.